Courtesy of Denver Oktoberfest (Facebook). 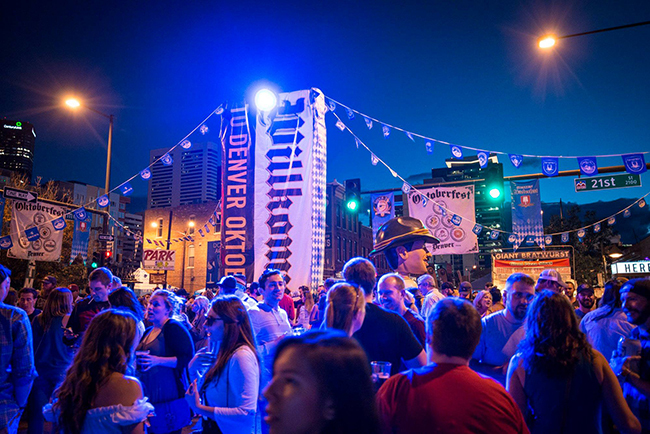 Colorado Oktoberfests are coming in hot! Don your dirndls and lederhosen and find the one nearest you! Break out your steins! It’s finally the season for beer, brats, games, beer, polka, beer, music, and also, beer. Yes, it’s Oktoberfest time again, a tradition that has long been part of our state’s transition into fall. While many think the event is mostly a harvest celebration (and it is, to be sure), according to the German American Chambers of Commerce, the first Oktoberfest was actually held in October of 1810 in Munich, Kingdom of Bavaria, to commemorate the marriage of Crown Prince Ludwig (later King Ludwig I) and Princess Therese of Saxe-Hildburghausen. Colorado communities, with their strong German influence dating back to the gold rush days, introduced the celebration to our great state. And from the mountains to the plains, boy do we know how to party! Oktoberfest is fun for all ages, offering a something for everyone. Whether you are going to your community celebration or decide to visit a town’s event during an autumn drive, you’ll be Willkommen! Check out the list below, listed by month and alphabetical town name, to find the one that most makes you want to polka. September 21-22 | Central Park, 1236 Canyon Blvd. September 21-23 | Western Museum of Mining & Industry, 225 North Gate Blvd. September 15-16 | 1015 S. Lincoln Ave.
September. 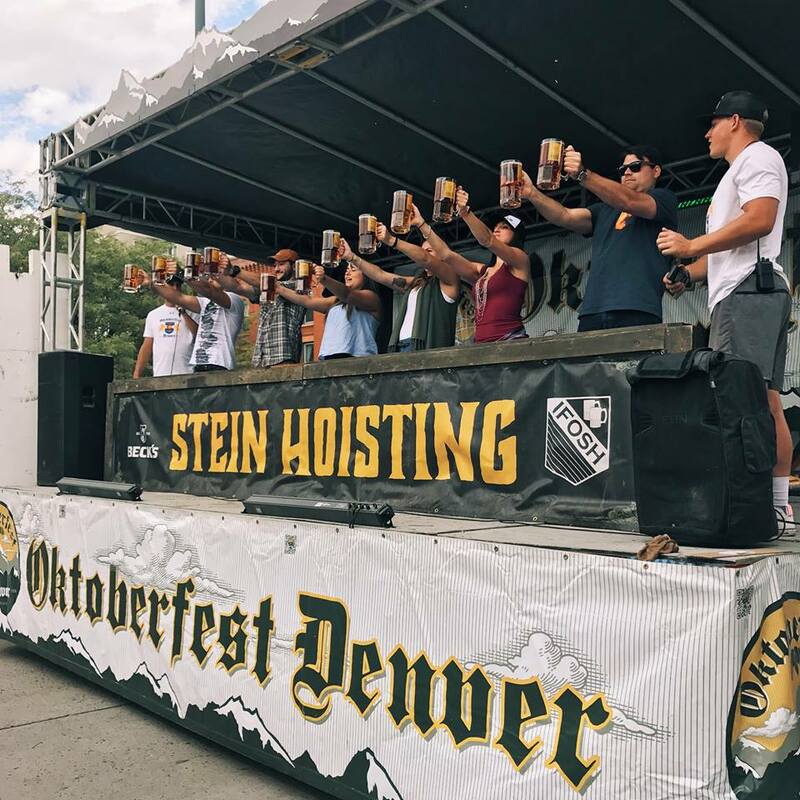 14-16 | O’Brien Park, 10795 Victorian Dr.
September 15-16 | Ute Pass Cultural Center: 210 E. Midland Ave.
Test your brawn at the stein hoisting competition at Denver's Oktoberfest. Courtesy of Denver Oktoberfest (Facebook). October 6 | Fickel Park, 620 Mountain Ave. While this is a big ol' list, it certainly doesn’t cover all the Oktoberfests out there. Many neighborhoods and communities hold their own events, and many breweries host celebrations to tap their seasonal brews. Do you have any other Oktoberfests to add? Let us know in the comments below! Read more about the Colorado Oktoberfest happening at Breckenridge Brewery!